In many cases, your foreign copy may be best written directly in its own language. 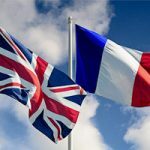 Now that your brand is taking off in the UK, you’re ready to have all your content, campaigns and documents translated into French. While certain documents, such as contracts and instruction manuals, require a translation as close to the original as possible, others, such as website content or marketing material, would largely benefit from being re-written from scratch in the target language. Read my article on French localisation to understand the difference. Your website content and marketing copy almost certainly aims to be catchy and to appeal to a particular audience. 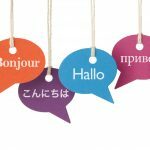 Cultural differences and local industry jargon, amongst various other factors, are likely to affect how your copy is written in the target language. 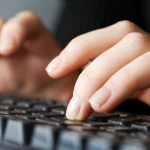 To help your freelance copywriter produce the best possible French copy, you would be well advised to give them as much freedom as possible rather than to tie them to a text written with an English readership in mind. In other words, think of them as a French copywriter rather than a translator. – What format or type of document do you need? – What is the topic? – What parts of the project will you be managing and what parts do you need your translator to work on? For example, will you choose the title of the article or provide the list of keywords? – How many words are you aiming for? – If you have come across examples that match your ideas, do share them with your copywriter or translator. – If you’re aware of any do’s and don’t of your product, industry or PR plan, they’re worth mentioning, too.